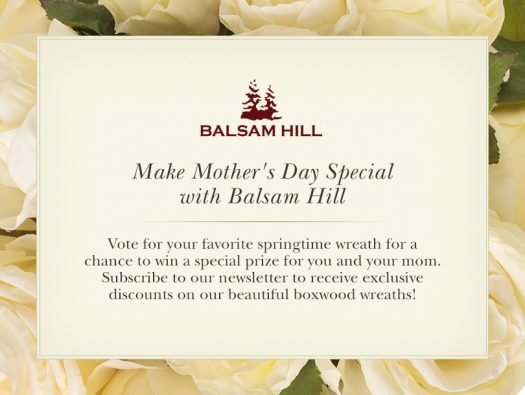 Join Balsam Hill as we celebrate Mother’s Day, in honor of the selfless love mothers share. Get the chance to win special prizes in our giveaway by completing a few simple steps. Read on to find out more. 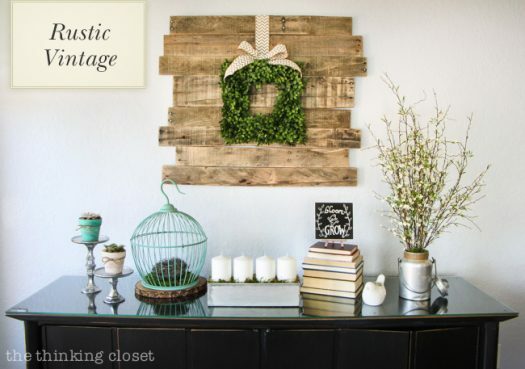 We’ve curated a selection of beautiful looks conceptualized by our blogger friends using our boxwood wreath. Readers can vote on the different designs for a chance to unlock exclusive discounts and win special prizes. This design put together by Krista of The Happy Housie makes use of pretty pastels and subtle metallic hues to create a soft color palette. 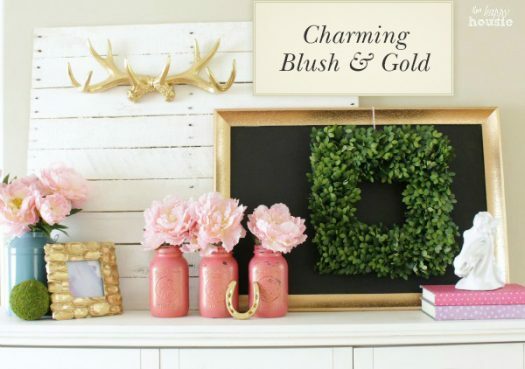 Beautiful peonies and painted Mason jars are joined by rustic accents such as golden antlers and a lucky horseshoe to complete the look. Malia of Yesterday on Tuesday created an elegant look that incorporates modern and traditional aspects. 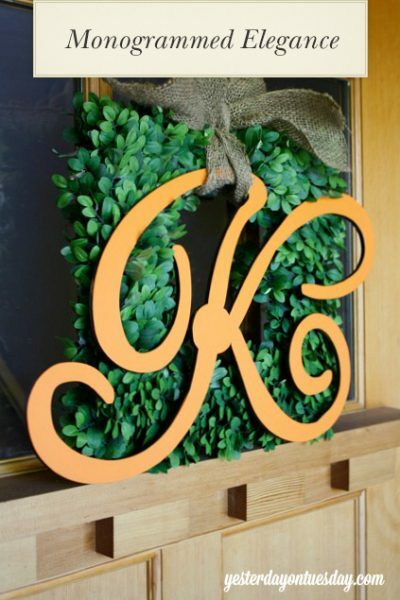 She used a monogram in a striking citrus hue which contrasted perfectly with the pristine green foliage of her wreath. A burlap ribbon was the perfect finishing touch. Nostalgia rules the day in this gallery wall by Jenna of Rain on a Tin Roof. 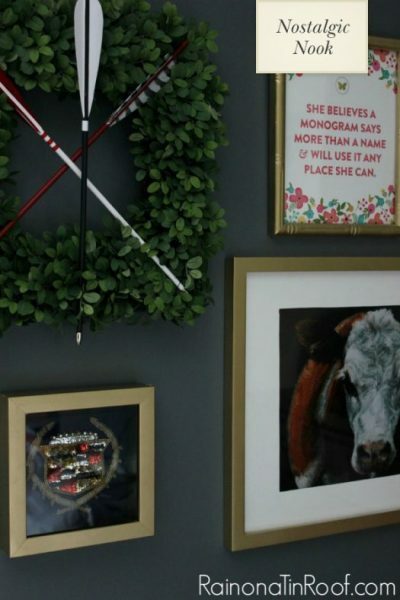 Personalized and meaningful pieces share the spotlight with the boxwood wreath, resulting in a display that brings back sweet memories. Polka dot patterns and a pop of bright color are paired with a wooden “Welcome” sign to create a cheery welcome for guests and family alike. Melanie of Reasons to Skip the Housework echoes the yellow hue in other accents indoors as well for balance. Lauren of The Thinking Closet put together a display that honors her mom and expresses her own love for vintage finds. With a bird cage in a lovely pastel hue, succulents, and other rustic accents, the finished product is a mantel that is brimming with charm. Entrants who complete at least 5 actions will automatically receive an in-app message that states they have unlocked a reward coupon, with instructions to claim. Coupons will also be sent to the e-mail address they’ve provided within 24 hours. The coupon offer will be a special discount for our boxwood wreaths. 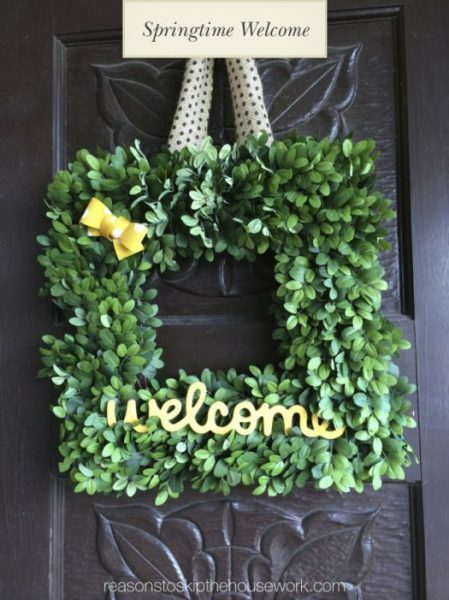 One square boxwood wreath will be given away to one lucky winner, along with one round boxwood wreath for their mom. This giveaway will run from April 20 at 9:00AM PST until April 27 at 11:59PM PST. Visit our official Facebook page for details and updates. From all of us at Balsam Hill, happy Mother’s Day!